Beyonce and Kelly Rowland praise Jesus for this mini-reunion. Last month, Destiny Child's Michelle Williams linked up with her former bandmates Beyoncé and Kelly Rowland for the praiseful, upbeat "Say Yes!" On Wednesday, the trio revealed the music video for their mini-reunion. The music video highlights the song's feel-good vibes without any heavy-handed religion iconography. Beyoncé, wearing a fashionable apostolic gown to fit the theme of the track, shows up about 90 seconds in to deliver her verse; Rowland stops by soon after. 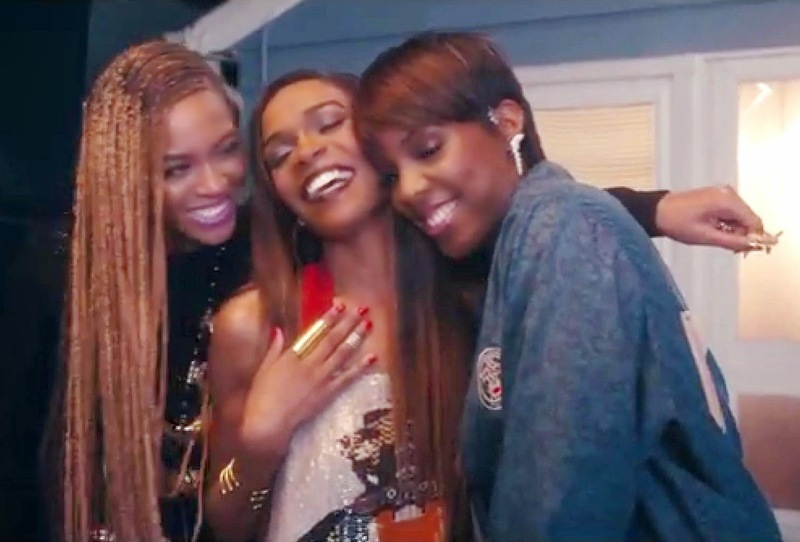 However, just when it seems like the three members of Destiny's Child shot their scenes separately, the reunion finally arrives in the video's last minute as Williams, Knowles and Rowland dance together at a party. Williams debuted the "Say Yes!" clip on Good Morning America, where she called the video shoot "so much fun." "Sometimes the director or production assistants had to say like, ‘OK, girls, bring it back home. Bring it back together because when we were together, we go back to how we were when we were younger, just always laughing and talking about things," Williams said. "It’s been a great moment." "It's Destiny’s Child time again," Beyoncé said of the track (via Rap-Up). "This song is so inspiring and it’s not enough music out there like this and I’m proud to be a part of it." While not a true Destiny's Child reunion – the track is credited to Michelle Williams featuring Beyoncé and Kelly Rowland – Williams' old bandmates jumped at the opportunity to contribute vocals to "Say Yes!" after hearing a demo recording of the track, then called "When Jesus Says Yes." "Say Yes," produced by Harmony Samuels and based on a Nigerian gospel tune, is slated to appear on Williams' upcoming third solo LP Journey to Freedom, due out September 9th.